When it comes to hiring and talent selection IMD relies on its long time collaboration with Assess Systems. Assess Systems saves organizations time and money with job-specific, research-validated assessments resulting in rapid, clear hiring recommendations that prioritize candidates according to their potential for success and good candidate fit. In hiring assessment, the most effective hiring decisions result from a multi-component selection process—a process that involves pre-screening, realistic job previews, career aptitude tests, interviewing, and other components. With Assess Systems, we specialize in designing this type of multi-component process and then using state-of-the-art technology to make it seamless and easy-to-use to ensure good candidate fit. Assess Systems’ expertise and Web-based tools help ensure that your hiring assessment results in hiring the best—quickly and efficiently. Selection assessments are available for hourly, professional and managerial, consultative sales, and executive roles. You choose the degree of customization and consultant involvement, so you’re not locked into a suite or package. You can leverage assessments across national or even global locations to promote a consistent candidate-selection experience. As needed, IMD with ASSESS Systems consultants conducts predictive validation studies—as sanctioned by the American Psychological Association (APA)—to ensure that talent assessments accurately predict on an ongoing basis. 1. Contact IMD to evaluate your situation and needs. 2. IMD will recommend the appropriate package – either pre-configured package or a custom solution. 3. We offer solutions that range from complete turnkey assessment solutions, or self-directed assessment solutions which require certification. Options will be discussed and a recommendation made based upon your organizational need. For information, please fill in the form and we will promptly respond to your request. Executives are your most critical hire. They have untold potential for driving success—but the cost of a hiring mistake is enormous. Let IMD evaluate your top three or four candidates and provide valuable input as a knowledgeable, objective third party. 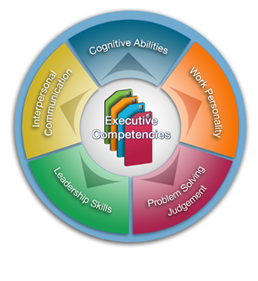 After understanding crucial competencies that predict success or failure in your organization, we assess innate characteristics, experience and skills, as well as intangibles like personality style and culture fit. Our battery of tests includes personality assessments, cognitive abilities testing and a customized behavioral interview with questions exploring each finalist’s strong and weak points. We also conduct simulations presenting real-life on-the-job scenarios your new executive may encounter. IMD uses this critical information to help you make these crucial hiring decisions.